(economic), and community levels, i.e. worker-owned community enterprises. 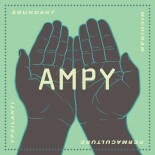 b) What is the structure of AMPY? community, and bring info/learning back into system. 2) What are the guilds? j) Builders – chicken coop prototype, etc. dues. How democratize it so everyone contributing over the long term. People more invested in coming if they paid for it. learning. Hoophouse owned by Project Grow(?) Our project fits in. going into Christmas trees. Possibly more land available. 5) What should be done first and where? b) In other areas, we could start by improving soil w cover crops. Grazing animals. started mulching and planting shrubs & perennials. example biogas, rocket stove, other permaculture demo. Getting the info in and out and circulating. What’s the best way to spread info about AMPY, bring info back in from groups/individuals, and motivate people/keep things going? How do we build structure in the group and allow folks to self-identify as willing to bring energy to a guild/project? How do we collect and build on this info? What ideas should we suggest as possibilities to motivate people to the possibilities? (1) Personal contact: volunteers call 5 people about mtgs, fill in on missed info and on what’s coming up. Also offer rides! this; Odile will also help. a) Dawn Farm – will be the nexus point of Ampy this year, place where we can connect and develop co-mgmt and co-ownership. We need people to be committed and to steward the things we are planting/doing there. ii) Also s/develop network of people state-wide who can circulate around and share the knowledge, especially of more specialized projects (biogas digester, for ex.) There may be enough connected people in MI now for this. i) What would need to be there for you to be willing to put in 40 hrs this year in something? actually do to make it happen. What would you like to see in the community that would be more attractive? What would you enjoy doing? What needs to happen for this to arise? xi) People need to see a return on activity. Some people aren’t talkers, really want to see concrete results and definite plans. Return can be learning, but must be concrete. There must be some sort of motivation. xvi)What would light up your passion to co-create? shovels and dig the swales on already flagged contours, with planting scheme already planned out. ii) Q: How will sharing of nursery stock work? A: Some can be given away unless have only a few and need them for cuttings. Will also keep track of how much work people put in so know who should have priority. Some plants we may need to keep for seeds only (Dunbars Plum, etc.). iii) Q: How ensure longterm connection to DF. A: We’ve put $ in, will hash out contract this winter. Also considering a cooperative with them. Maybe the clients get involved through the workshops, learning, even if only there for a short time. Even in worst case scenario, could go in and take out all the plants. iv) Will be picking up stock from Oikos, Indiana Berry, Hartman’s. Anyone wanna go? v) Scheduling the first planting day. March 29-30. Backup 1st weekend in April. Suggestion to do second big planting in fall. vi) Mushroom inoculations later in April or May. viii) Schedule Pot-luck for fun! ix) Need stewards at DF – woodlot needs tending, back woodlot, open space, demo site. AMPY needs core team of people all on the same page, know the DF plan, so system can continue even if someone goes out of town. welcome! Identify: What do people need to have to grow food abundance for themselves. xii) Newsletter/blog – website can function this way. Volunteer at each guild mtg should send notes of mtg/workday to Jesse or Monica for them to post. xiii)Also, how address issue of people signing up for multiple guilds but then not showing up? Up to guilds to develop this, but can consider idea of dues. Everyone gets timebank credit for mtg time! This entry was posted on February 25, 2014 by wholeculturerepair.